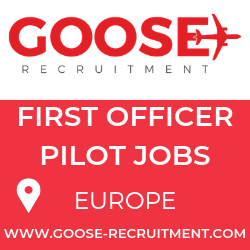 The routes to Norway’s capital Oslo and to Denmark’s capital Copenhagen will be served four and three times a week respectively and thus offering 190,000 seats yearly to and from Miami and Scandinavia. SAS is the first airline to serve Miami International Airport with direct routes to Oslo and Copenhagen with first flight to Copenhagen on September 28 and to Oslo September 29 2016. The year round routes will be served with an Airbus 330-300 redesigned with completely new and ultra modern cabins. Departures to Copenhagen are three times weekly Wednesday, Friday and Sunday, and departures to Oslo are Monday, Tuesday, Thursday and Saturday. 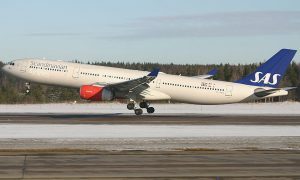 The direct routes are strengthening SAS’ offer between US and Scandinavia; in 2016 SAS will offer 6,600 flights between the regions which is a total of 1.75 million seats – whereof 190,000 seats are offered between Miami and the two Scandinavian capitals. 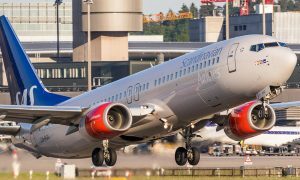 “SAS is offering more direct frequencies to Scandinavia than any other airline, and we constantly make sure to give our customers an extraordinary good and joyful travel experience. Before and during the journey our customers can use various time saving digital solutions, fast track services and enjoy our personalized services in our lounges. On board our customers can enjoy the comfort of our new aircraft and redesigned cabins, which is part of SAS constant improvements to make life easier for the frequent traveler”, said Executive Vice President and CCO, Eivind Roald, SAS. 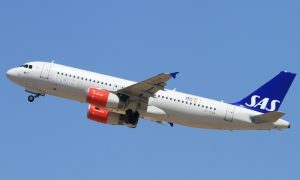 SAS offers a timetable adapted to departures and arrivals beyond Oslo to and from Norwegian and Scandinavian airports. Beyond Copenhagen Airport SAS offers a timetable adapted to departures and arrivals to and from Danish, Scandinavian and northern European airports. SAS serves Scandinavia, Oslo, Stockholm and Copenhagen, from four cities in US, New York, Chicago, Washington DC and San Francisco, and is adding three more cities in 2016. Besides Oslo and Copenhagen to Miami, SAS launches nonstop service from Los Angeles to Stockholm on March 14, and from Boston to Copenhagen on March 29.